Adams 4.3 Octave Soloist Series Rosewood Bar Marimba with standard Voyager frame is a tremendous value for a full size, Rosewood bar instrument. 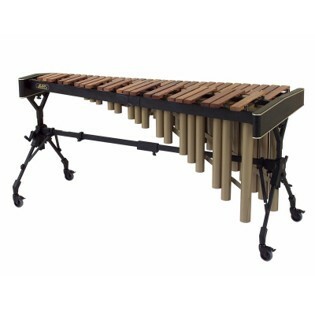 This MSHV43 model Marimba features Honduras Rosewood bars tuned to A-442 Hz. Featuring a bar range of A2 to C7 and bar width of 2.3" to 1.6", this instrument has all the depth and tonality of Concert Series instruments while only sacrificing 3 tenths of an inch of bar width on the lower octave. Overall lentgh is 72.8", low end width is 35.4" while the high end is 15.7". The Voyager frame is very easy to adjust and can vary from 33.4" to 41.3" tall. With an overall weight of 147 lbs, this instrument is as easy to transport as it is to play. 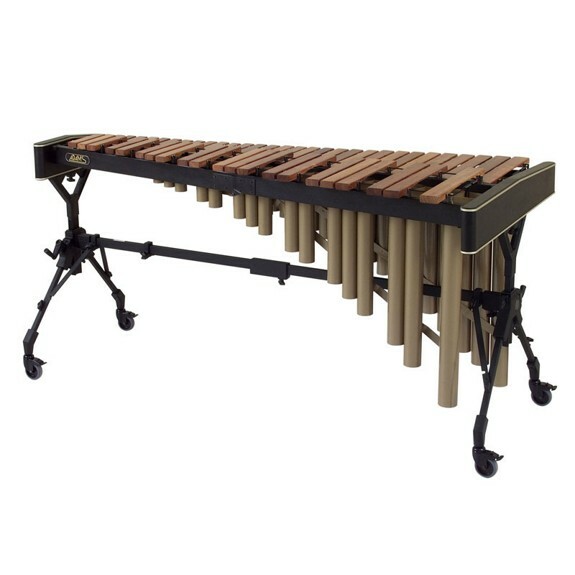 I absolutely love this marimba! It is beautiful and sounds amazing (I'm a beginner- but my son is an advanced player and is impressed with the quality). It arrived quickly in perfect condition and was easy to put together. Honestly, we are having so much fun and are so glad we got this exact marimba!